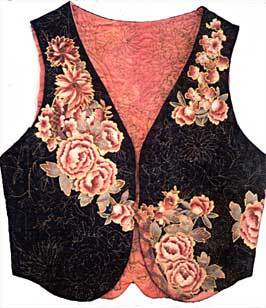 Original vest. 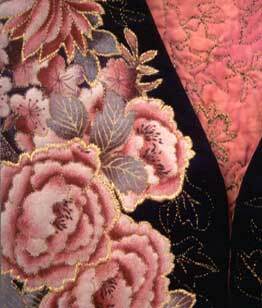 A commercial print was appliqued and embellished using heavy metallic threads by bobbin drawing. Free-motion quilting of flowers quilt the background using gold thread in the bobbin. 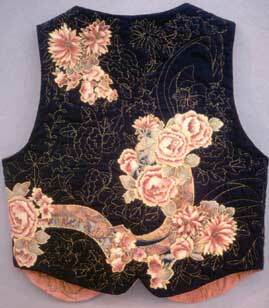 The vest won second prize in the wearable art division of the Mid-Atlantic Quilt Festival, 1999.